Lin Wilder holds a Doctorate in Public Health and has published extensively in fields like cardiac physiology, institutional ethics and hospital management. In 2005, she switched from non-fiction to fiction. Her series of medical thrillers include many references to the Texas Medical Center where Lin worked for over twenty-three years. Her latest book is A Price for Genius. Finding the Narrow Path was an unplanned return to non-fiction. All her books are available at Amazon. 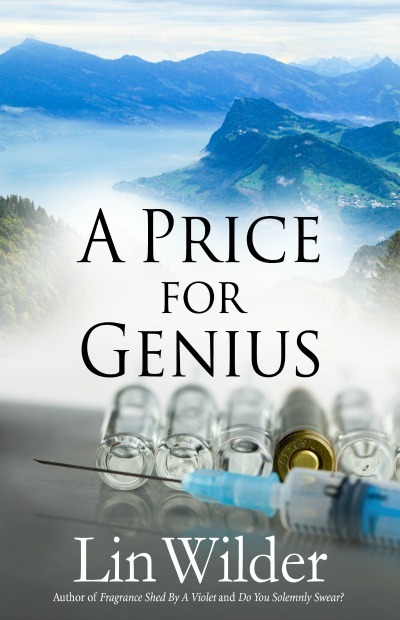 Lin Wilder: In A Price for Genius Dr. Lindsey McCall's worst fears are realized. Not only have both drugs been stolen but two women have been kidnapped- one maybe dead. Lindsey had known Liisa Reardon's new drug was alchemy, only this time, the end product actually more precious than gold. The desperate call from Hank Reardon in Switzerland came late at night. 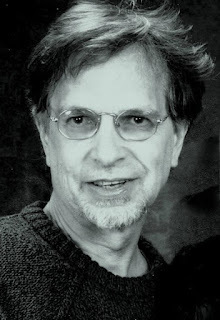 · Could Lindsey and Rich Jansen uncover who was behind the crimes? · It was an inside job-could they figure out who had sold out the Reardons? · All in time to save Reardon's daughter and her chief tech Ariana? · Were they risking their lives as well? By the time you get this letter, it will be too late. We'll already have her. · Do not call the cops. · Do not contact Interpol. You must know Sir, there is a price for genius. We trust you will pay it if you want to see your daughter alive. 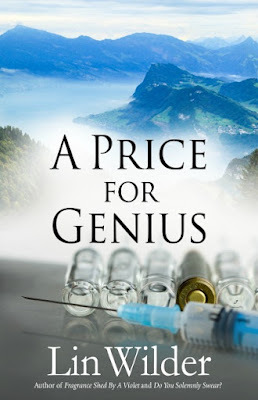 IAN: Is A Price for Genius published in print, e-book or both? Lin Wilder: Amazon, Google play, Barnes and Noble, Smashwords. IAN: What inspired you to write A Price for Genius? Lin Wilder: In pondering why I write, I realized that the blurred lines between good and evil intrigue me. Each of us is a combination of both and our choices mostly determine just how good or evil is our life. However, there are extraordinary circumstances which can have such a profound impact that the goodness is all but extinguished. Joe Cairns became my favorite character in A Price for Genius because we are forced to identify-mostly- with his stark combination of heroism and evil. But are there people who are wholly evil? I think yes. On the other hand, Dr. Viktor Dragovik is evil. When pondering him, I realized that his loss of all that is good had to spring from somewhere. Since, in A Price of Genius, I had written that he was Serbian, that provided the necessary context: The terrible Bosnian War. IAN: Do you use an outline or do you just wing the first draft? Lin Wilder: Always when I write non-fiction, I use an outline. But learned that I am unable to use that very comforting tool with my fiction books. Is it winging? Perhaps. It feels more like keeping up with the pace of the story as the characters reveal themselves. IAN: How long does it take you to write a book? Lin Wilder: I’m about half-way and expect the 1st draft of Malthus to be complete by September 5th. So a year. IAN: How do you come up with your book titles? Lin Wilder: Malthus Revisited: The Cup of Wrath. Dragovik comes up with a way to decimate the population of the world. And justifies his decision with extensive reliance on people who have predicted that the population will outgrow the earth’s ability to sustain them- ergo the British minister who predicted the end through famine: Malthus. I added the Revisited because there are many who are convinced of a massive biologic extinction by the end of this century. And added The Cup of Wrath to add an apocalyptic dimension to the story. 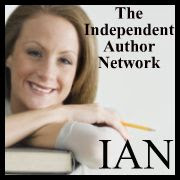 IAN: What do you hope your readers come away with after reading your books? Lin Wilder: After many years of allegiance to most ‘isms’ known to man, I became a Roman Catholic. It changed everything. My writing is grounded in the notion that our lives are battlegrounds. My main character Dr. Lindsey McCall and her husband Rich are Catholic. They believe that the choices they make on a daily basis can profoundly impact our world. There are allusions to religious visions and priests in this and in every book which can provoke readers to wonder. Fully understanding that my view is counter cultural, I hope readers come away with some questions, curiousity about themselves, their world and God. IAN: How much of your books is realistic? Lin Wilder: I’m a researcher by trade. The sections on the genocide in the Balkans are real. At the end of the book, I’ll list excellent resources for those interested in learning more about Yugoslavia and the Bosnian Wars. There are individuals loudly proclaiming the biologic extinction. Malthus’ Essay was written in the late 19th century and is a fascinating read. The sections on chemical warfare are derived from history-so a great deal of the information in Malthus is based in history. Lin Wilder: We write what we know. Since I spent a career in academic medicine, my characters and stories emanate from that source. The protagonist of all the stories, Dr. Lindsey McCall appeared in my head, literally, a number of years ago. I knew that writing was a gift I had used all of my life but it had always been through non-fiction. The idea to write a novel surprised me. I had long ago put that dream aside. But Lindsey stayed with me. And I began to wonder, what would it be like to be a woman who knew she could master anything? No matter how difficult the problem? Or how impossible? Lin Wilder: I do but when I speak about it in front of others I always advise them not to quit their day job. Lin Wilder: As a kid English major in undergrad, I dreamed of writing the ‘great American novel.’ But believed that in order to do so, the writer had to sacrifice his joy. That only if one was miserable—Hemingway, Fittzgerald, Faulkner, Salinger, Plath---could the writing be any good. In my early 20’s, I began to write non-fiction in the fields of critical care medicine. I found that the best way I could understand what I believed and knew was to write about it. Lin Wilder: New characters require a great deal of patience. Research too but that’s the easy part. After the research, it always takes time for me to see the new character. Like the autistic young girl Morgan Gardner...I read 8 or 9 books on autism but it took time to really ‘get’ her. The same with Viktor Dravovik. It’s taken months to get a real sense of who this guy is. 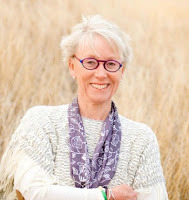 Lin Wilder: Each of the soon to be 4 books in the Dr. Lindsey McCall medical mystery books can be read as a stand-alone. Malthus Revisited-The Cup of Wrath highlights 3 characters who were introduced in A Price for Genius: Joe Cairns, Diedrich Braun and Dr. Viktor Dragovik. And, as always, introduces a new one. In this case, Morgan Gardner, an 18 yr old savant. This book adds a quasi-dystopian element to the series.